Everyone knows that in order to make an omelet, you have to crack a few eggs. Apparently that old adage is core to Google’s development strategy, according to a company representative speaking about Google Glass at SXSW. 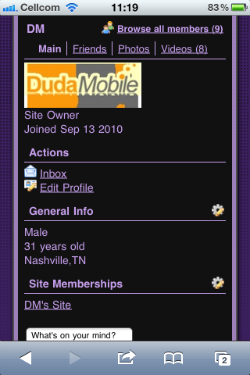 Today we are happy to announce that the Mobile Website App by DudaMobile has been enhanced with exciting updates that many of you have requested. New Mobile Themes – You can now choose from even more themes for the mobile version of your site, including Matrix and Texture themes. Today we are excited to announce the addition of Pagemodo to the Webs family of products. Pagemodo joins the Webs website-building solution you know and love and ContactMe, a lightweight CRM tool, to form a suite of online tools for small business growth. Pagemodo’s Pagebuilder is an online tool that enables small businesses to design their own custom Facebook pages for free and with ease. Try the Pagemodo Pagebuilder Today! Small businesses are increasingly turning to Facebook as a new marketing channel for attracting customers and promoting their businesses. Thanks to Pagemodo’s Pagebuilder, entrepreneurs don’t need to have any technical or design skills to add tabs–such as a “Welcome” tab–to their Facebook fan pages. The result is a Facebook fan page that is fresh, stylish, and informative. If you compare a Pagemodo Facebook page to a non-Pagemodo Facebook page, it’s like looking at the difference between a professionally-produced TV commercial and local business’s homemade commercial…but in this case, you get to make the glossy, impressive version in a matter of minutes, and for free! Brand New App – ContactMe! 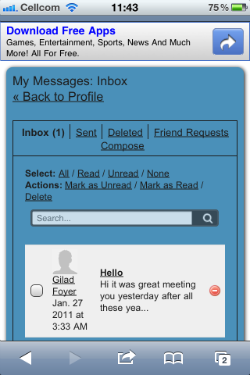 Introducing the ContactMe App! If you are an entrepreneur, micropreneur, homepreneur, mompreneur this app is the perfect way to grow your business. The ContactMe App harnesses the power of your website by turning site visitors into hot, new sales leads–and then into customers–with no work on your part. 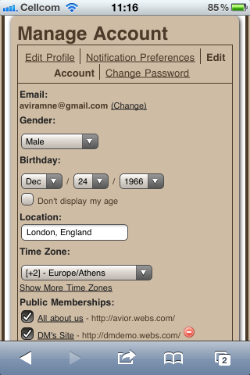 The App adds the ContactMe Button to your website, giving all visitors a direct line to you. The free, eye-catching ContactMe button & contact form encourage site visitors to submit their contact information to you. Voila, new leads in your inbox! Introducing the Podcast App! If your website has a podcast or an internet radio program, this app is the perfect way to make it available on your site. All you have to do is upload the audio file, add a picture and description if you’d like, and your podcast is ready to listen and download. Buzzworthy & Voicemail Apps – Go Pro! We are happy to announce that two apps in the Webs App Store have been updated to include premium pro versions. Buzzworthy is a great way to add fresh content on your site automatically. The new professional version allows you to publish an unlimited number of articles for your visitors to view and to share. For any article, you can add custom comments. Today we are happy to announce the addition of Prayer Requests application in Webs App Store. 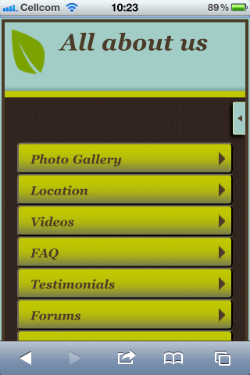 A widely requested app by members of the religious communities that we are happy to add to our App selection. This app is perfect for members of religious community to expand their websites and provide spiritual support to their community by allowing site members to request prayers. Free – Limited to 5 prayers. Click Install and select the package you want. Drop-down menus for your sites are HERE! Today, we are excited to announce the launch of drop-down menus on Webs.com sites! This update has been requested by many users, and has been in the works for quite some time here at Webs. It’s a simple feature with huge implications; drop-down menus allow you to clean up the navigation bar on your website, better organizing your website and creating a more focused and guided experience for your site visitors.